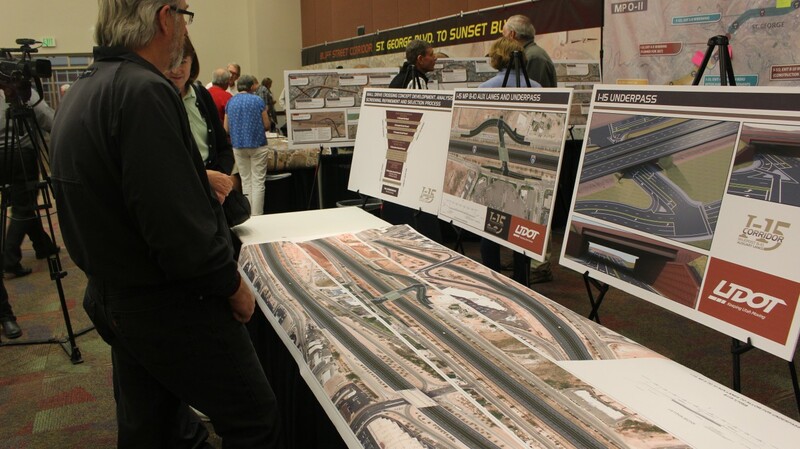 ST. GEORGE – Showcasing current and upcoming road projects, plans and programs, the 2018 Dixie Regional Transportation Expo rolls into the Dixie Convention Center Tuesday. State and local road planners will be on hand to answer questions, as well as take input on projects and travel needs in the county. Some of the current road projects in the county that are hard to miss include the Bluff Street project and work being done on state Route 9 in Springdale. Challenges posed to Washington County’s short- and long-range transportation planning are spurred by the county’s growth. The current population of about 160,000 is projected to double over the next 50 years. Other issues include how to adequately fund those road projects while also maintaining and expanding current infrastructure. Marking its 13th year, the expo is free to the public to attend and will cover myriad transport-related topics in addition to road projects, so anyone who drives, rides a bike or walks is encouraged to attend and meet with representatives at the expo. People can have a lot of influence on the planning process, Lee said, pointing to changes made to the Bluff Street project to accommodate pedestrian trails and bike traffic through the area. An upcoming project that’s benefited from public input is the pedestrian underpass beneath Interstate 15 that would connect Dixie State University to 400 South, which wasn’t a priority until people started pushing for it. Ask questions about road projects and provide comments. Learn more about current and future transportation services, programs, needs and programs. Enjoy fun, educational information about safety from the St. George Police Department. 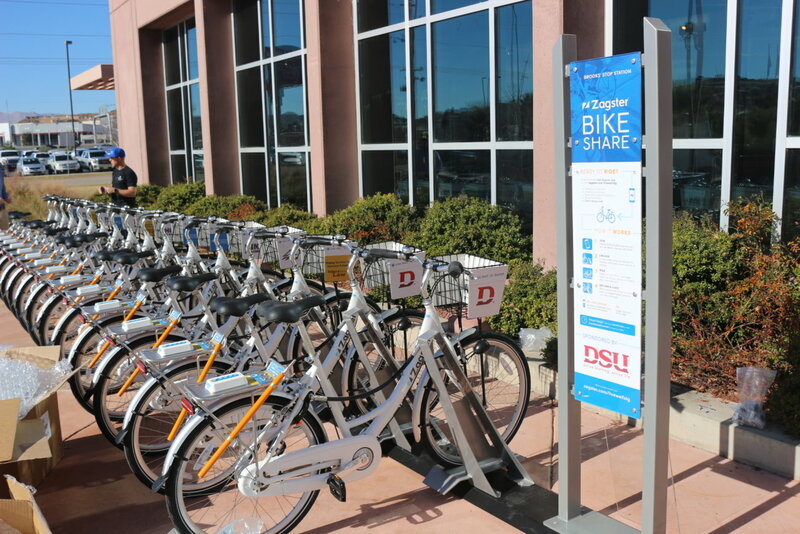 Learn about St. George’s Bike Share. Enter to win prizes on site, including a Kindle, Amazon Echo and an Amazon Firestick. City of St. George trails – St. George Leisure Services Department. SunTran, public transportation highlights – St. George. Traffic Laws: The More You Know, The Safer You’ll Be! – St. George Police. I-15; Exit 4 Brigham Road interchange improvements. I-15; Exit 6 – Exit 8 widening. I-15 MP 11 Interchange Environmental Study – Washington City. I-15 corridor through Washington County – Washington City. Washington City Transportation – Washington City. Southern Parkway: Sand Hollow, State Route 9 – Utah Department of Transportation. Mobility management (transportation for seniors, the disabled and low-income individuals) – Five County Association of Governments. Updates to Hurricane’s Transportation Master Plan. Long Range Transportation Planning – Dixie Metropolitan Planning Organization. What: 2018 Dixie Regional Transportation Expo. When: Tuesday, Feb. 13, 10 a.m. to 6 p.m.
Yeah lets pay $2.5 Million for 55 bicycles to share…and if you go have a “free” soda pop and a fun size candy bar as your tax money is paying for it….you really think you have a say as to what’s coming here? Really?…take a good long look around….like what you see? Nobody said you have to live here !